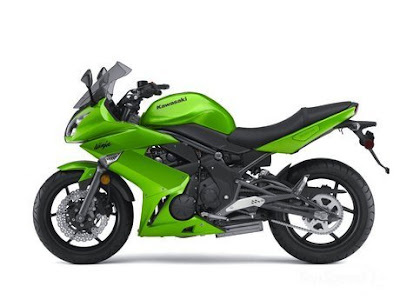 Kawasaki Ninja 650R will come with exciting colors range. The sport look bike is having step-up seat which is given comfort seating facility. The high fuel storage fuel tank of this bike is capable to storage 15.1 ltrs fuel. Fuel tank and seat arrangement is providing stylish and sporty look. Top up the speed of this bike is up to 212 kph. Kawasaki Ninja 650R features are very clear and kind. The heavy weight bike is capable to reach 0-60 kmh speed @ 3.84 second. 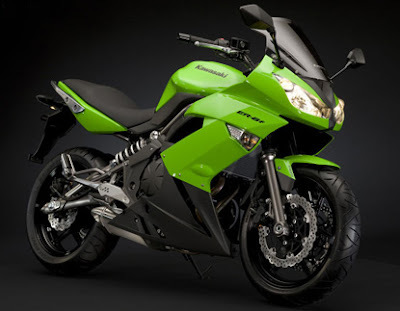 The Kawasaki Ninja 650R reviews or pictures are easy to gets through internet.